Once you’ve begun to implement some of our green home options in Charlotte, you’ll see your home’s performance improve. In today’s world, many people are looking for ways to conserve energy and lessen their carbon footprints. You can start small by turning lights off, trying to reduce energy waste, and driving a little bit less. However, when you’re ready to take your environmentally friendly attitude to the next level, you may want to think about making some upgrades in your home. A green home can include a variety of features designed to reduce energy waste and operate more efficiently. Green homes come with many benefits in addition to reduced waste. You can enjoy improved indoor air quality, which can help your family feel healthier and avoid allergic symptoms. It’s easier to maintain a comfortable temperature when your HVAC system is operating efficiently, which means your home will feel better with fewer fluctuations. Additionally, any money you invest into a green home will be worthwhile as it will help you save money while you live there, as well as increase the value of your property. You can feel good about the lessened environmental impact of your household. 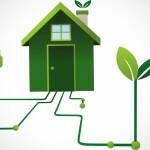 Did you know that having a green home starts with having the right company on your side to help you achieve your goals? At AppleBlossom Energy, we know that taking steps to improve your home’s energy efficiency, while also maintaining your commitment to a green home, can seem daunting. Fortunately, we offer the products and services you need to get great results without hassles or worry. 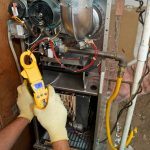 Home Energy Audit – Whether you have already implemented a few green home initiatives, or you are ready to get started, we can help you maximize your home’s potential with a home energy audit. We can address the areas where you can make improvements and work with you to ensure you get great results. 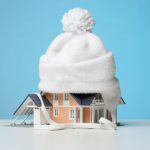 Insulation – At AppleBlossom Energy, we often find that homeowners feel overwhelmed when it comes to insulating their homes. Not only do we offer green home insulation options, but we can also complete installation for immediate benefits. Insulation is a necessity in every household to maintain a more comfortable temperature and reduce fluctuations between seasons. Sealing Services – Did you know your crawlspace and attic can both heavily impact your home’s energy efficiency? 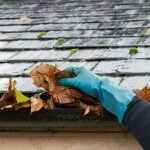 We provide sealing services that will keep these areas protected and your home on-track towards your green home goals. 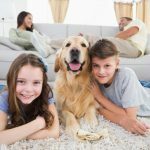 Another benefit of sealing off certain areas of your home is improved indoor air quality since you don’t have contaminants from these unused spaces coming into your living space. Home Performance – Once you’ve begun to implement some of our green home options, you’ll see your home’s performance improve. 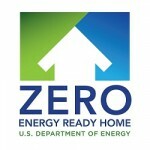 With a whole-home retrofit, homeowners often see a 20-40% reduction in their home energy costs. Our standing record is a 70% reduction in home energy costs! Our green home services can put you in the running to beat that record. If you are interested in learning more about our green home solutions in Charlotte, North Carolina, contact us at AppleBlossom Energy today for more information about our products and services. At AppleBlossom Energy, we can help you achieve a green home in Charlotte, Concord, Davidson, Harrisburg, Huntersville, or Mooresville, North Carolina.